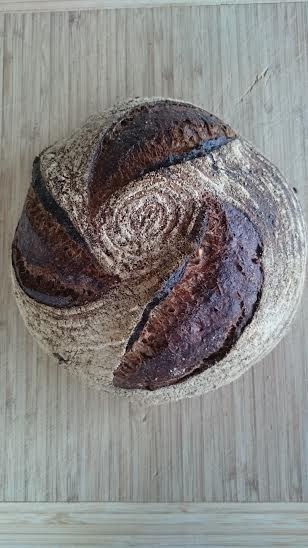 This months bread is Toasted Buckwheat. 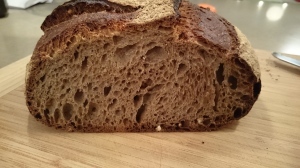 Buckwheat itself cannot be made into bread if used 100%, so the bread is mostly made with wheat flour, augmented a little with buckwheat flour. Buckwheat groats, toasted to bring out more of their unique flavor are added generously, creating a very aromatic bread. Groats are the hull-less whole grain itself. Buckwheat has a very unique flavor, especially when the groats are toasted. The name is confusing, considering it is not related to wheat, being a distant cousin of Rhubarb. The grain is used in all kinds of different foods from breakfast cereals, Soba noodles and savory crepes in Brittany, France. 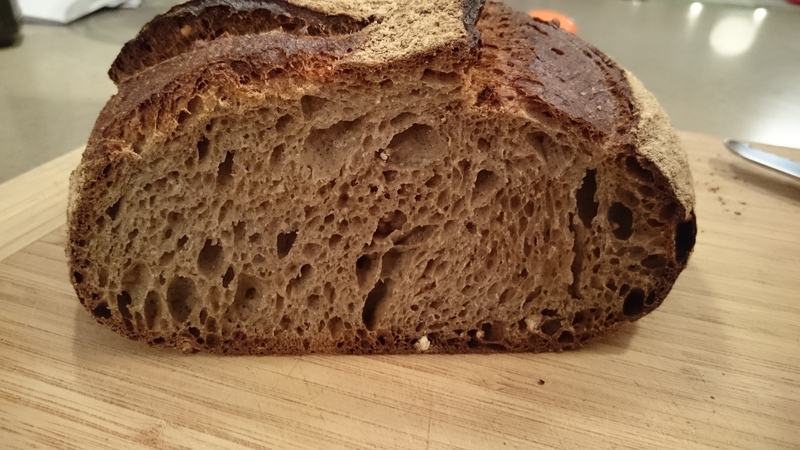 This bread is particularly tasty with a stinky, runny cheese. HI , this might sound like a silly question for a bakery, but, do you carry any wheat free products? John, we make a few cookies without wheat, but no breads. Sorry! You’ll receive information on store offers and events, and we’ll give you a FREE GIFT during the month of your birthday.